The Nessa table lamp by Vistosi has been designed by Archivio Storico Vetreria Vistosi 1972. 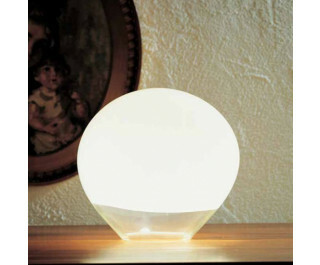 This glass lamp has an inferior clear part in the diffuser, which allows the light to transfer indirectly to the outside ambiance. It is a striking piece to decorate any table. This beautiful light has been handmade on the Venetian island of Murano.